Lakshmi Ganapathi Films had brought in several successful dubbing films right from the Hollywood to Kollywood is back again. They have brought the locked the dubbing rights of 7am Arivu starring Surya, Shruthi Hassan for a sky-high price. 7am Arivu is directed by Murugadoss is high on expectations in Tamil and as well as Telugu. 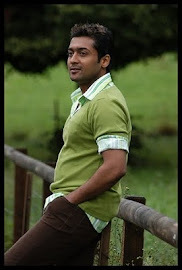 Surya has good fan following Telugu as his earlier outings like Ghajini, Aaru, Sillunu Oru Kaadhal, Vaaranam Aayiram, Ayan, Aadhavan and Singam turned out to be hits and received good collections at Tollywood box office. The title of the Telugu version is not yet confirmed but the dubbing works of the film are on the heels of completion with the dialogues written by Shashank Vennelakanti. The chief of LGF confess that they faced heavy competition from top producers from Tollywood for snapping the rights. He is expecting that 7am Arivu will become big hit. The dubbing version will release along with the Tamil version.